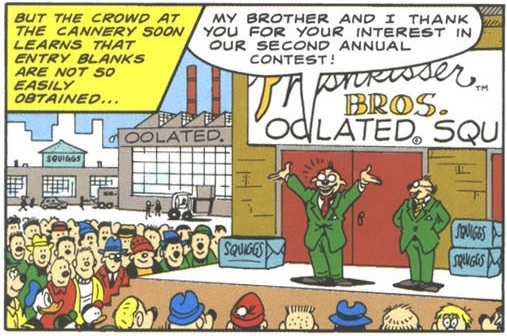 The Story: Donald and Neighbor Jones allow their pride to cause mass chaos and destruction in an effort to win a pumpkin-carving contest worth $50. The Review: Of all the gag stories Rosa did, this one feels the most like a Barks tale. 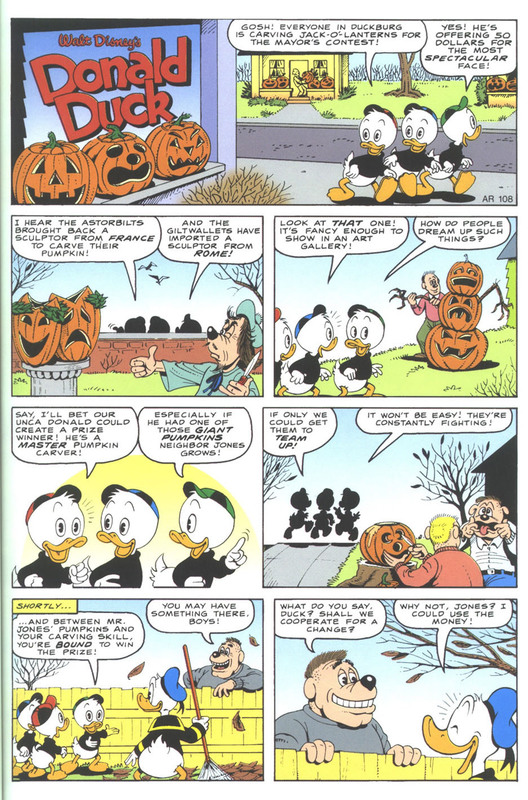 With the simple goal of Donald trying to get a pumpkin and Jones trying to carve a pumpkin, all to win fifty dollars, the conflict escalates to a hilariously disproportionate scale. 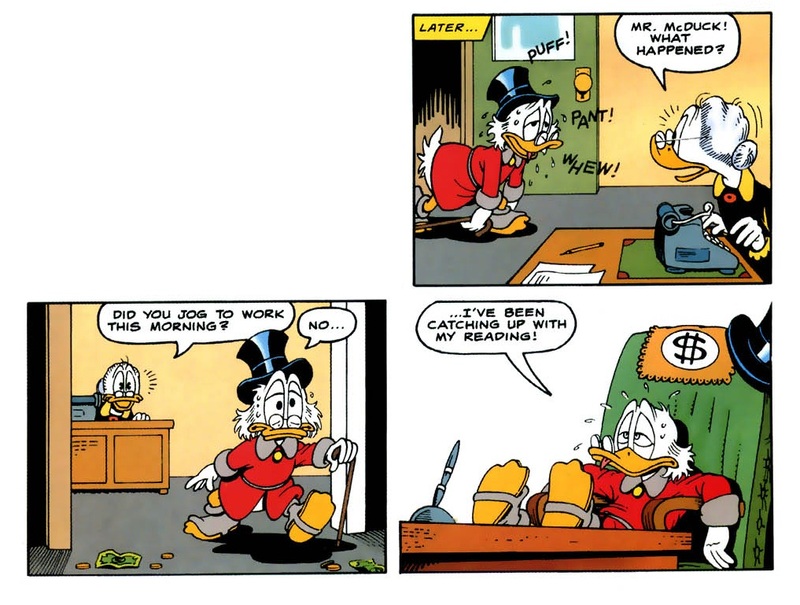 The gags are well crafted, Rosa has used his art style in a way that doesn’t make the physical comedy look too real or jarring, and the story stands for what it is: a great piece of comedy. 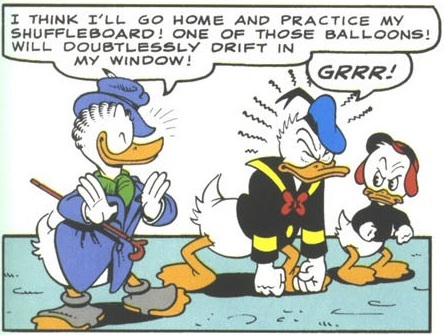 One of the big differences between Carl Barks and Don Rosa is the former’s satirical tendencies. 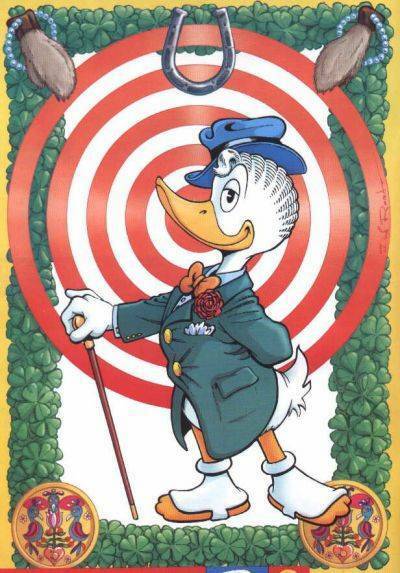 He used the Ducks to point out the foibles of humans, altering their characterization (subtly, of course) to fit the little message behind an individual story. It never got in the way of his writing, nor were the characters inconsistent. 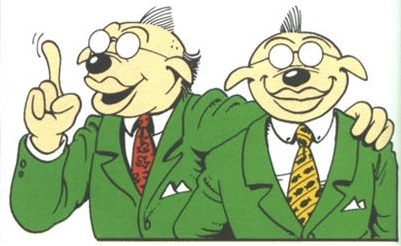 These variations on the characters between stories actually added a level of depth to them when his body of work is looked at as a whole, which was certainly unusual for the time and holds up today as an example of well-rounded characters. They were people, not props. If you’ve ever seen people who are heavily involved with say, the Parade of Homes or other vanity contests, this story might seem familiar to you. 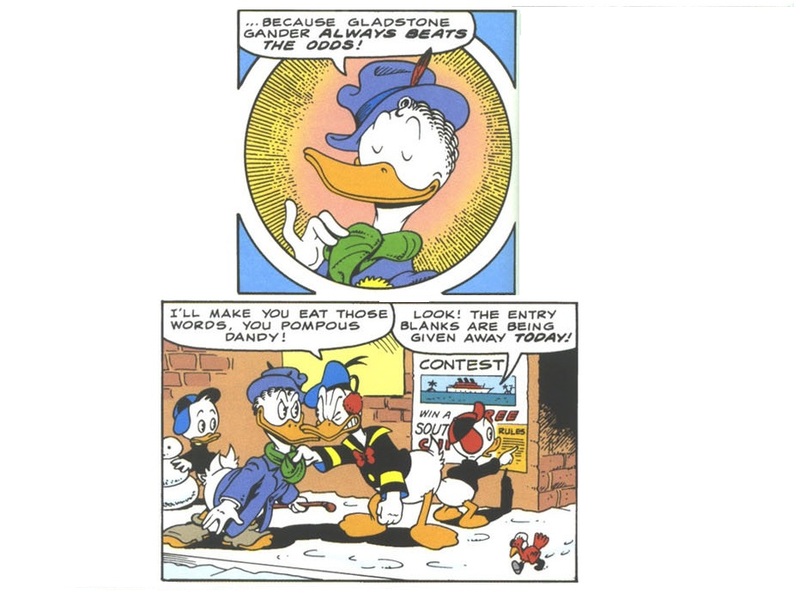 The elements in it are exaggerated, but that level of competition over such a trivial prize and the smallest element of prestige is what rings true to life, and the exaggeration is what makes it ring true as a Duck comic (and Donald’s character). Pride, pettiness, escalation, rivalry are all things that we can relate to and learn from when we see them brought to comical heights. 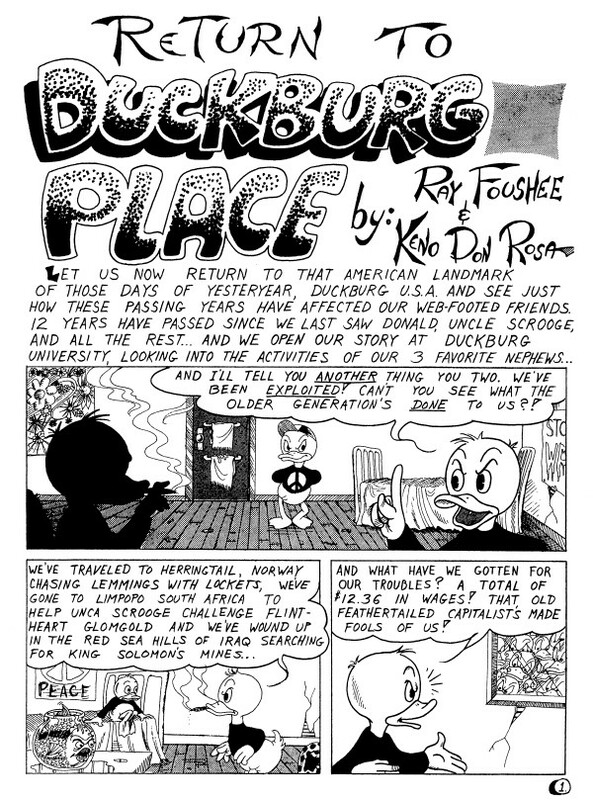 This satirical approach is a very unusual tact for Rosa, but he shows it is well within his wheelhouse if he had chosen to let his career as a Duck artist follow that path. 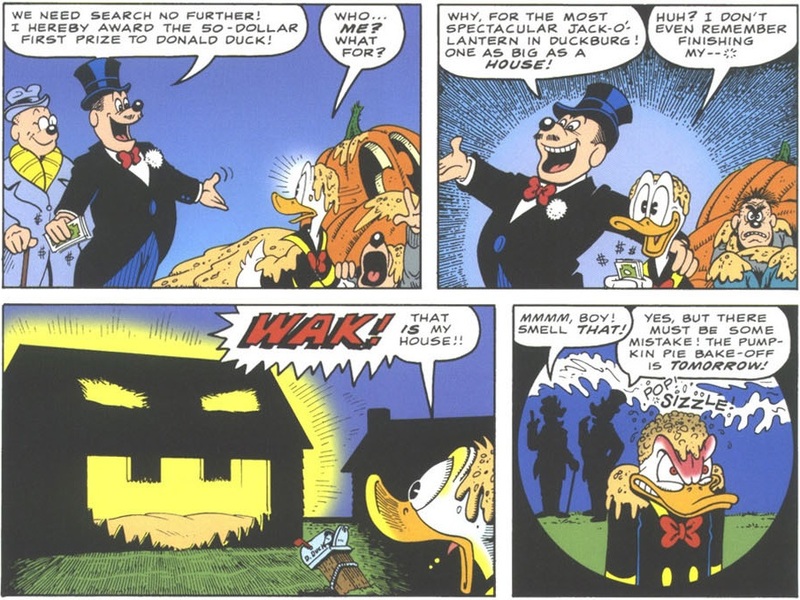 The moral of the story is obvious: Be nice to your neighbors or your house will turn in to a jack-o-lantern. 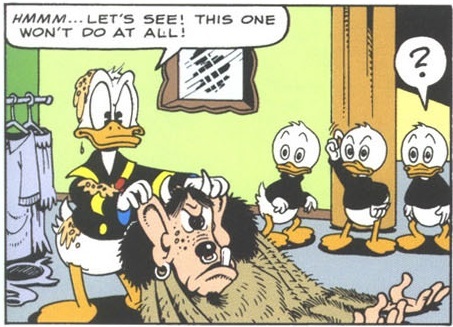 I’m not yet ready to discuss in detail the differences between a Barks story and a Rosa one (that will have to wait until I have a better example of a Rosa comic in front of me), I believe it does both artists a disservice to say Rosa’s stories were nothing more than ones made in the tradition and style of Carl Barks. But as I said, that is a discussion best left for another story. “Trick or Treat”, Neighbor Jones! 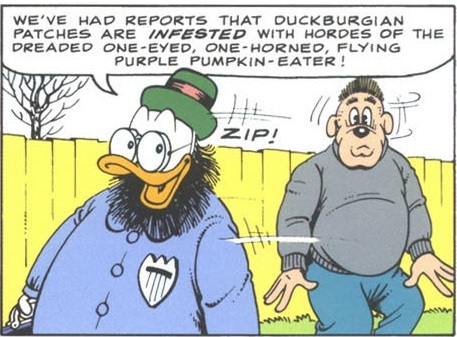 Continuity: The only piece of criticism I could lob at this story is the anachronism of the One-Eyed, One-Horned, Flying Purple Pumpkin Eater, a gag reference to the comedy song “One-Eyed, One-Horned, Flying Purple People Eater”, put out in 1958. 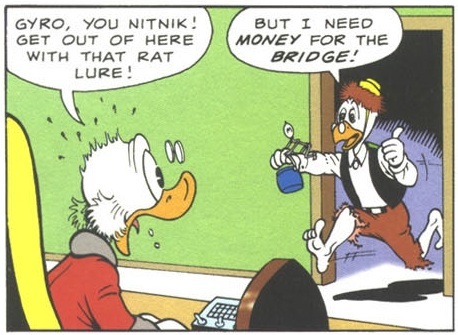 This isn’t so an issue within the context of the story, merely within the internal timeline Rosa crafted. 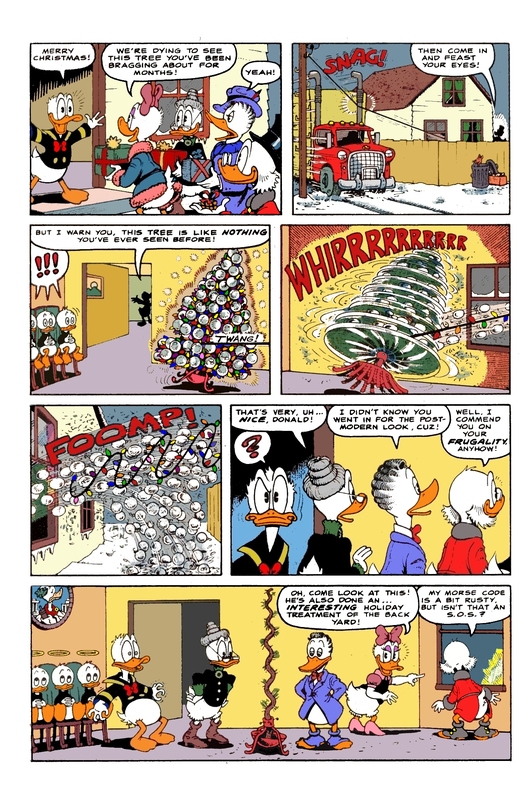 Rosa would later establish that Donald and the nephews’ adventures with Scrooge began taking place in 1947 (the year that “Christmas on Bear Mountain”, Scrooge’s first appearance, was published), eleven years before that song came out. 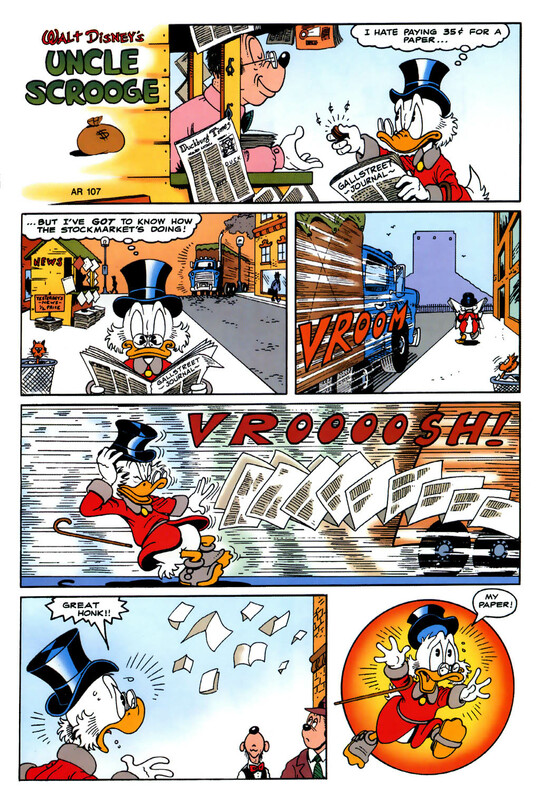 You could argue that Donald (within the Duck universe) might have eventually ended up somehow inspiring the song, and that would certainly fit Rosa’s Forrest Gump method of inserting the Ducks in to history. 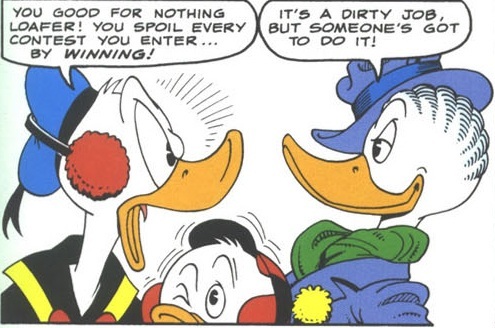 It’s actually the method I use to justify it within the continuity of the Ducks, but you can easily take it is a sign of timeline problems that will show up in later stories. Sadly, it’s time to say goodbye to Neighbor Jones. 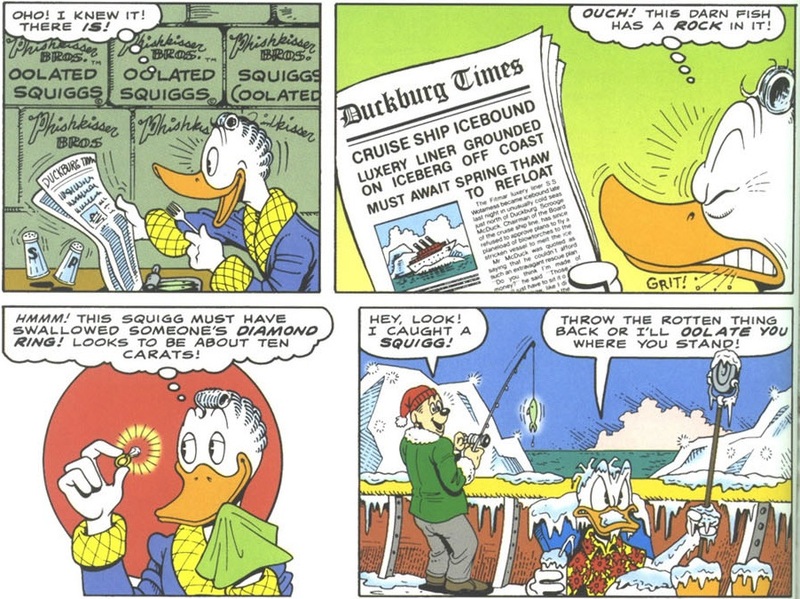 This story marks his last Rosa appearance, with not even so much as a cameo to come. Bye Jonesy! I will miss you! 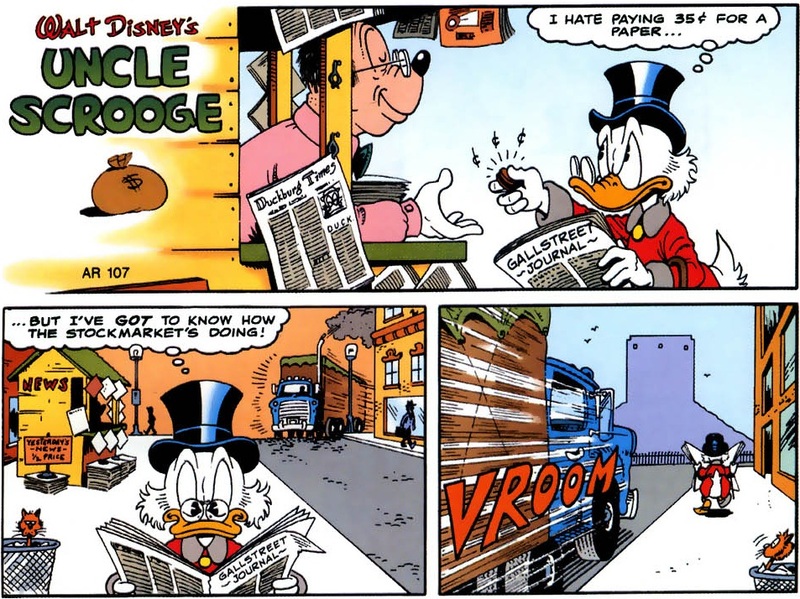 I see only two possible reasons for this: He moved away to get from that crazy Donald Duck, or he was arrested for the massive property damage he did to Donald’s house. 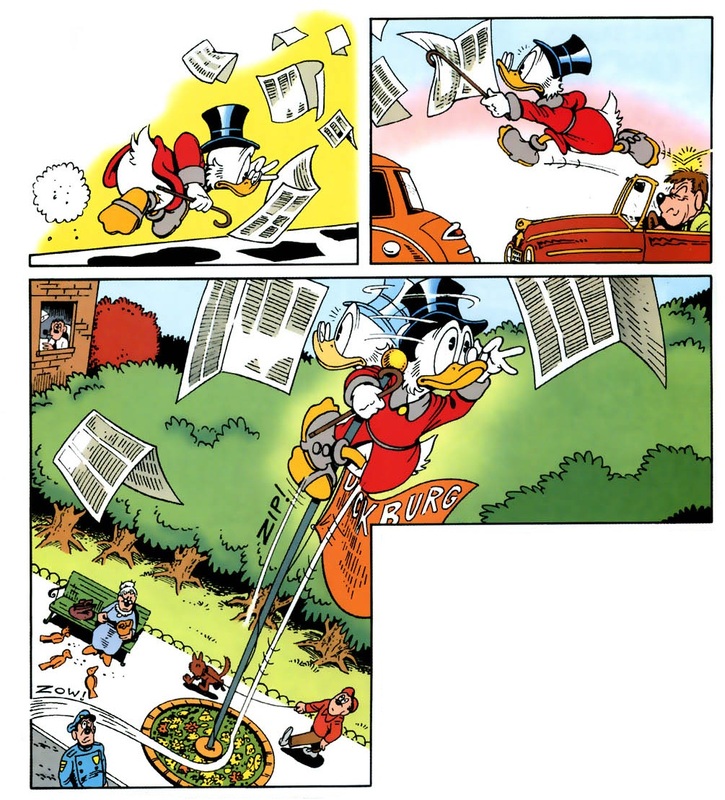 … or Rosa got bored with him and just wrote other stories that didn’t need to include him in a perfunctory manner. 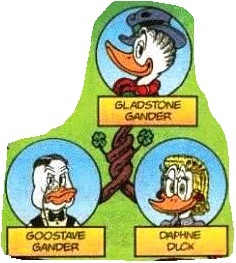 You know, one of the three.